The new Exsence is made using the newest high-end materials and technologies, resulting in a light weight but immensely strong reel. The Exsence has an impressive list of features: Hagane Magnesium body, X-Protect, MGL Rotor, Micro Module Gear, 11 Shielded A-RB ball bearings and one piece titanium bail providing all the features to fish in rough salt water conditions with incredible ease and smoothness. Although the 3000 version weights only 199g, it still is equipped with a very strong 9kg waterproof drag. 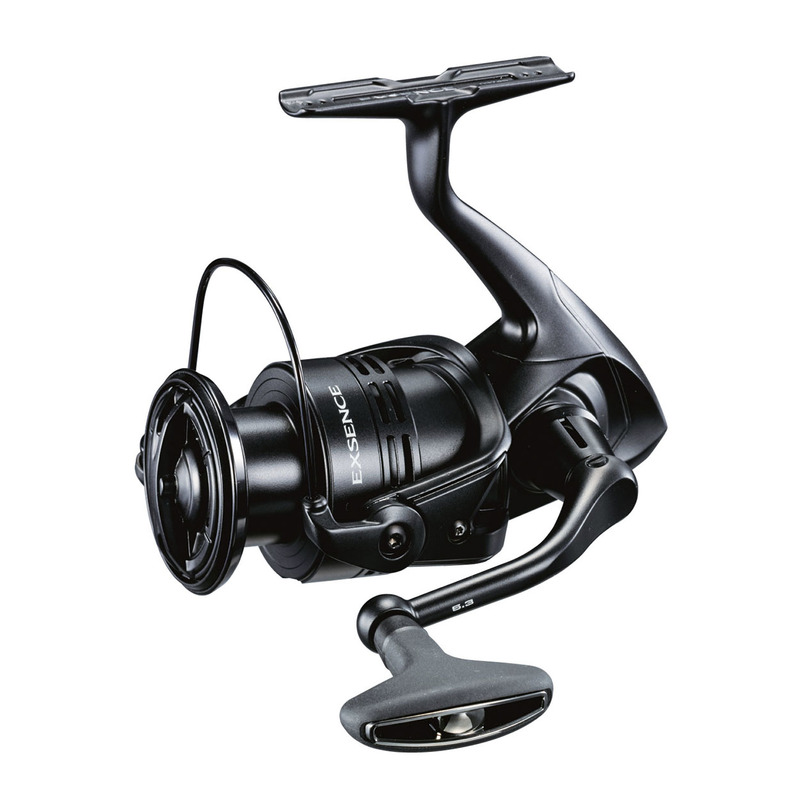 The combination of the Micromodule gear together with the G-free body results in a very strong and smooth running reel, which stays in balance while reeling in at high speed. Taking it all together, the new Exsence is the perfect buddy when targeting inshore species like sea bass, blue fish and lerefish (it’s not built to fish for Tuna or sharks, we recommend a SW heavy duty reel like the Twinpower / Stella SW for this). For freshwater, it can be used for any species. Allows anglers to change the drag cam on the reel within seconds.  This system changes the drag curve on the reel to cater to specific techniques or fisheries. Reels equipped with the Rapid Fire system come standard with a Long Range Special (L.R.S.) curve and up to 7 other Rapid Fire cams are available as accessories.